One of the biggest mistakes organizations can make is to think having a great eCommerce Storefront with a robust SEO is an effective digital strategy. While their marketing team spends hours driving visitors to the site and nurturing them into leads, their sales team spends hours collecting, qualifying, organizing and chasing those leads. That’s not a very efficient digital marketing strategy! Sales wants to focus on what they do best; selling, and marketing wants to get on with what they do best; creating innovative campaigns. But how do you make both teams happy? The solution is marketing automation through integrated Commerce and Marketing solutions. By automating all repetitive processes, organizations can free up their teams to focus on bringing new customers and making more sales. 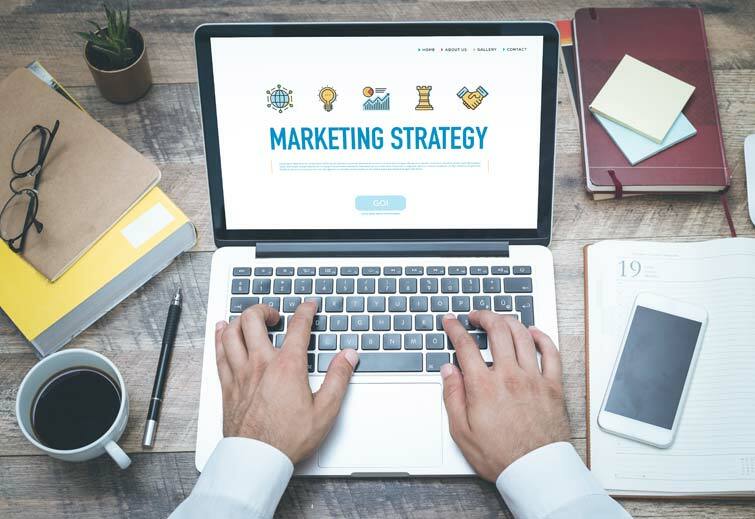 They align their marketing and sales efforts and empower them to increase ROI and revenue, and it can even inspire new automated processes as well. So how does an automated marketing solution work? Imagine a scenario where you’re the owner of a bicycle business focusing on your B2C channel. Thousands of people visit your website with various levels of interest and engagement. But how can you boost visitor engagement? Some visitors show their area of interest by downloading your ‘Top 10 Lightweight Speed Bikes Designs’ contest results. With marketing automation in place this action automatically triggers your pre-planned ‘Speed Bikes Designs’ workflow for these visitors, designed to gradually warm them up from cold to warm leads. One day after downloading the report, your workflow automatically sends them an email with your ‘Top 5 Remarkable Designs of the Year’ video. Two days later it sends them your ‘Evolution of Speed Bikes Designs?’ fact sheet. For instance, did you know that in 1937 derailleur gears were introduced to the Tour de France, so riders could change gear without removing wheels? A few days later it sends the ‘Best Roadways for Speed Cycling’ webinar recording. gradually heating them up as leads. Then you strike while the lead is warm, offering them what you know to be key to conversion. You know that people are more likely to purchase bikes after attending your personalized bike selection and customization tour. So, at this stage in the workflow they are invited to register for your next available event for a personalized tour with a sales associate. After attending the tour, these leads are now tagged as ‘Visited Tour’ and can be fed with website content that is automatically personalized to them. No more tour offers, but ‘Buy the Bike Get 2 Years Extended Limited Warranty for Free’ offers, which are more appropriate. And by now, your lead is likely to be sizzling, so this is the best time for the system to automatically import them into your CRM, such as Salesforce Sales Cloud. With the invaluable workflow of marketing campaign automation, you have just sold a bicycle with minimal effort. So now, why not turn this one time customer into a repeat customer? Firstly, you can up-sell on their first purchase by offering the next version up, the Model X Bike. Then you can cross-sell necessary optional accessories, like the helmet, cycling shoes and gear. And finally, you can offer your cycle-based sale. You can also offer your customers a just-in-time replacement of key parts. Now your ROI has shot through the roof by automatically up-selling, cross-selling and cycle-selling. You have turned a one-time purchase into a lifelong customer. Embedded in your automatic marketing workflow, is the customer satisfaction survey. Satisfied customers receive a ‘Thank You for Completing Our Survey’ email that also offers suggestions of how they can express their feelings on social networks. Any less than satisfied customer surveys are examined. And you can send those dissatisfied customers a water bottle as a free gift, creating a satisfied customer in the process. So you see, your marketing automation workflow helps you nurture, heat up, and ready your leads for sale and turn a one-off purchase into a lifelong customer, while saving you time and boosting brand love, customer happiness, and company revenues. So how can you set up marketing automation on your Commerce site quickly? Let’s see how it’s easily done with Salesforce Marketing Cloud, a full-featured customer experience management solution that can turn your Commerce site into a sales and marketing powerhouse. First, you create a new process, a workflow of which you can have many, each focusing on a particular area of your business. You set up the trigger you want for this workflow. Then you can add an unlimited number of steps and determine how they connect. Your workflow might include waiting periods and conditional steps, as well as steps at: update the contact status, offer newsletter subscription, or import the contact into your CRM. You can see the list of contacts currently at each step, and are able to move them to other steps manually. You can check the reporting of your workflow at any time. Be aware that actively using automated marketing process workflows on your Commerce site may lead to: boosted sales readiness of your leads, improved marketing and sales productivity and efficiency, increased sales revenues, increased customer engagement through enhanced targeting, deepened and maintained positive customer relationships. Salesforce Marketing Cloud campaign automation reveals its true power when used with other website activities, like: personalizing web content, depending on visitor data or actions, triggering a workflow based on a certain score level, and importing and updating contact data for use by sales.